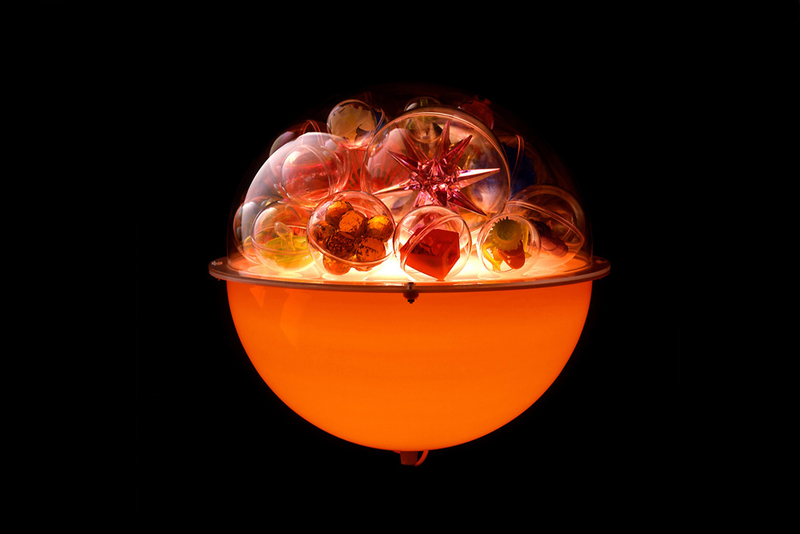 Along with other international designers and artists I was invited by Vogue Nippon to design a children’s night light. The designs were auctioned and the proceeds donated to UNICEF. 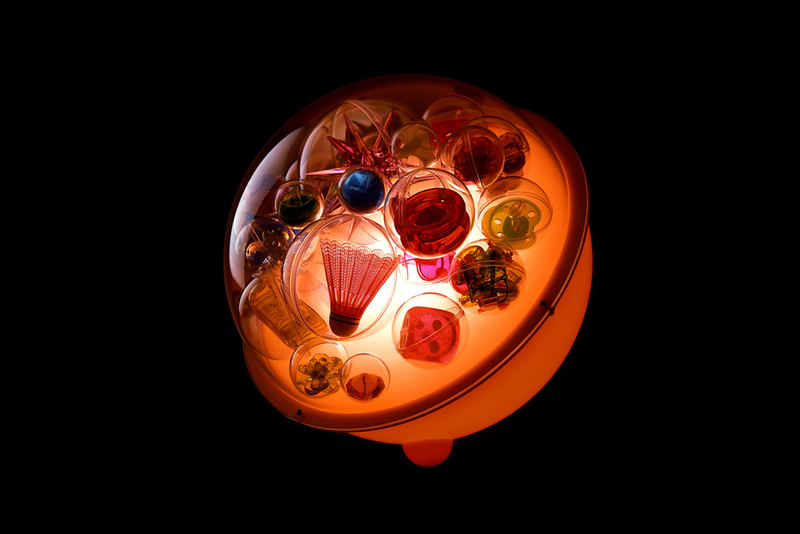 The light is based on the ubiquitous round plastic capsules (containing small gifts) found inside vending machines. The machines target and entice children to place money in the machine and in return receive a random gift. There is an element of surprise and luck involved because it is uncertain which capsule will drop down into the dispenser. The design is a dramatically scaled up version of a capsule and contains a variety of clear spheres each containing a magical clear plastic gift. 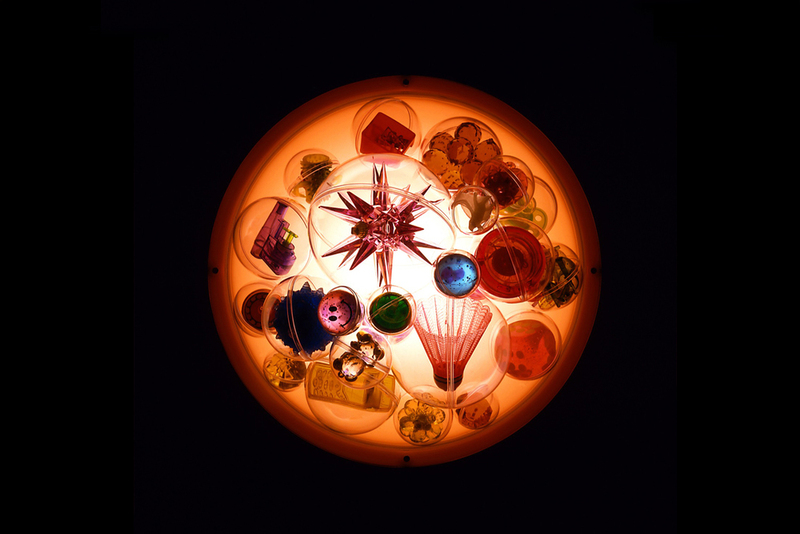 Material – Acrylic semi-spheres, random clear plastic objects.